Beautiful! This is a fabulous dessert. Wonderfully festive and seasonal. That crumble topping is to die for, Lisa. 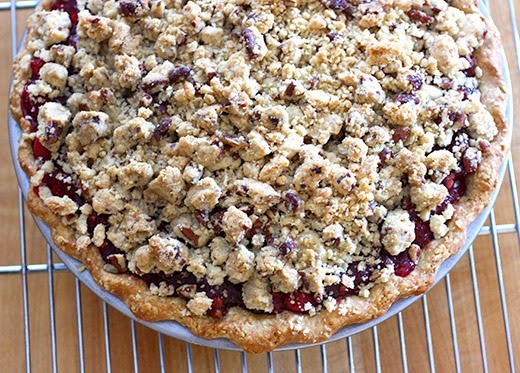 Pie with crumble...wow! Looks fabulous. Your pie looks exquisite, all that flavour with great texture! Pecan crumble? Brilliant -- that just works. Lovely flavor, I'll bet. And definitely a lovely dessert -- thanks. I am not a big fan of cranberries in large amounts, but the idea of this flavor combo has me thinking otherwise - and it is SO beautiful! As a huge fan of citrus desserts the idea of tart paired with sweet is of great interest to me. 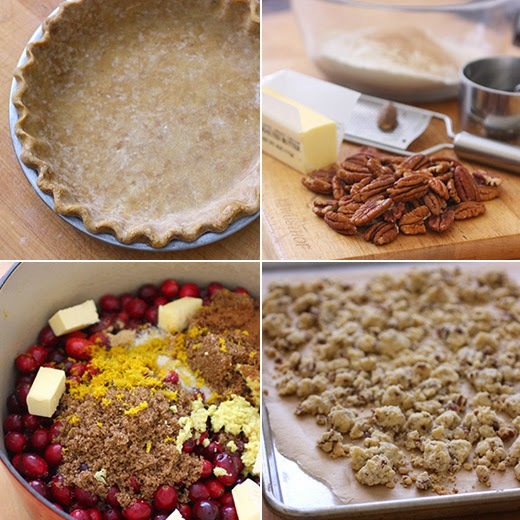 I would have never thought to make a pie filled with just cranberries, what a splendid recipe! first, your crust looks perfect. second, crumble topping (and pecan, no less) is always a hit with me. third, i'm so happy to see cranberries in the spotlight as your filling! this is lovely! you know... I just love anything with cranberries in it. It's just too delicious and you're tempting me with this one! This looks delicious and wholesome. Thank you so much for sharing. While reading, I wondered if it might be too tangy for me, but your description made it sound just right. 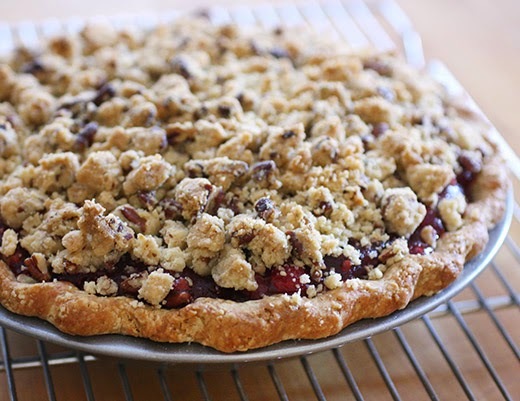 I'm intrigued by the pies and crumbles I've seen this season made entirely with cranberries. I like the flavored whipped cream idea too. Pecan crumbles are delish; I like making crusts with nuts too. this is such an amazing pie, Lisa! I love it! Lisa this look absolutely delicious!! Hi Lisa, what an amazing pie, I bet this is delicious with the tart cranberries. Happy Holidays! That is one gorgeous pie, Lisa. I can see how it made it to the top of your list! This is one gorgeous and festive pie! Never enough crumb topping! !